Mount Alchai where the Tombs are of the Kings of Tartary. Could those peaks be Pyramids? This is an interesting map in general, for looking into what it says. For example we can see the following, which is clearly i290, and not 1290. @CyborgNinja, appreciate the link. Interesting how we do not have any content of this quality in English. These Russian Siberian pyramids reminded me of those buried Egyptian ones. Interesting how they have buildings next to the pyramids. For the time frame, there was supposed to be none of anything out there. It looks like a good chunk of that land was destroyed and is now under water. It's hard to say for sure, but the general location of the Siberian Pyramids appears to still be above water. Contemporary historians and archaeologists are mum on the issue. What's new there? There is lots of stuff there but a real expedition is needed. I took these pictures while flying from Helsinki to Sanghai, roughly mid distance. Its Tundra, forever frozen land as they say there. No civilisation lives there as its frozen ice hours after hours while flying above it. The airliners always close the windows and shut the lights for people to sleep while we fly above it, but I suspect they dont want us to be looking whats down there too much. The Tundra is full of markers of a huge very advanced civilisation, that is no more. Just the "roads", or whatever they are, wide and very, very long and absolutely straight, with other geometrical formations all over the place. According Academia professors only a few Finnic nomadic tribes and wild animals live there. In the lower right hand corner it says something about "In this country is a ??? out of which they dig earth called by ??? terra ?? ?, having fine ??? like grass which being ??? and weaved yields cloth that will not burn in the fire." Can you make out what it says? I'm wondering what fireproof material can be dug out of the ground in that area that is fine enough to weave into cloth. TIA. And is it just me or do Samoged women look like Bigfoot hybrids? Their feet are more like hooves than human feet. And those thunder thighs do not look human. Can't tell if she's incredibly hairy or just wearing some hair suit. Definitely looks different than the Tartar gentleman. Gornaya Shoria is in the same exact region of Siberia as these Tatarian sites. Only, Gornaya Shoria absolutely dwarfs the stones at Baalbek in comparison. There is also a comparison to the Yonaguni underwater pyramids off the coast of Japan. It'd be a safe bet to say they're all related in form and function. This area was the heart of Tataria. The Samoged woman to me seems to be wearing an animal fur suit. Tombs of Tartarian Kings, I posted this someplace else, but I'm posting it here as well, because of the tombs being mentioned. Tartarian tombs go to page 448 Nations of The Empire, the last paragraph on the page talks about Tartian Tombs filled with treasures, gold, silver copper and "The greatest antiquity of the tombs is eleven hundred years, the latest four hundred". "tartarian tombs are located on the Volga and in Siberia." "weapons, military trophies ornaments of dress, coins." Tartary it talked about a lot in this book. The idea that the religion of 'Ancient' Egypt is not connected with Christianity has been instilled in us. However, when liberated from the trappings of Scaligerian chronology, a different picture emerges. For example, 'Ancient' Egypt is considered to be a classic 'land of crosses'. Many Egyptian deities featured on the drawings and the bass-reliefs hold in their hands a mediaeval symbol (anagram) for Christ – a cross with a loop (the Ankh Cross). 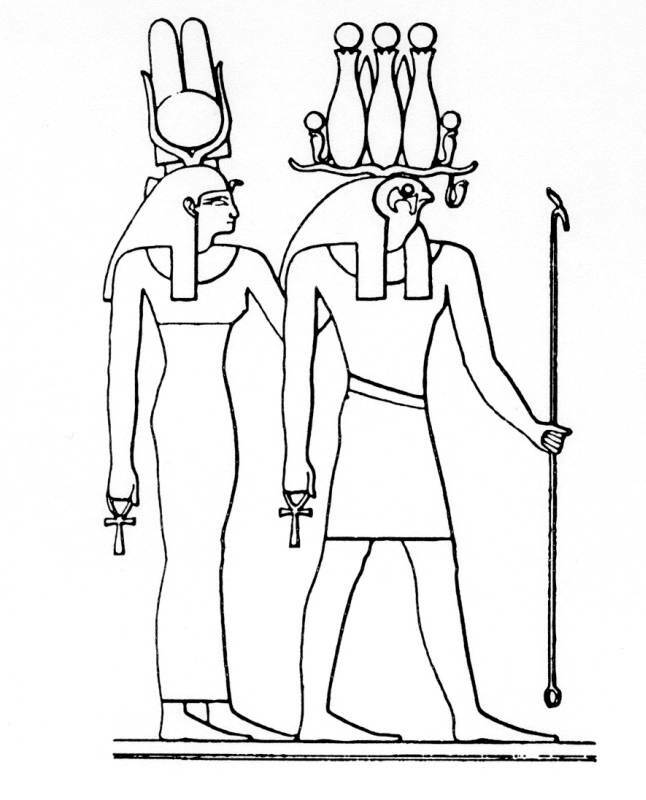 For example, the gods Re-Herakhte, fig.29, the goddess of moisture Tefnut, the sacred lions of Shu and Tefnut, etc. [2v1], ch.1. 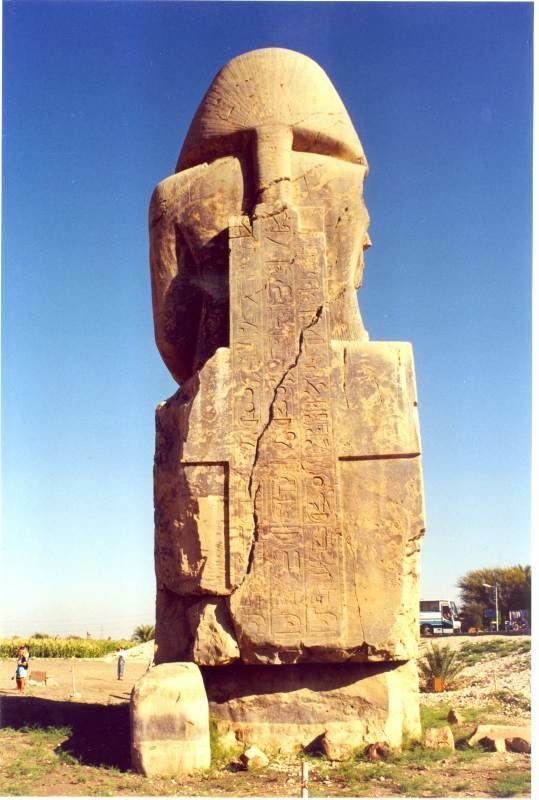 On the backs of the thrones of both Egyptian statues, known today as the Colossi of Memnon, there survive enormous wide Orthodox crosses, fig.30 [5v2], ch.7. 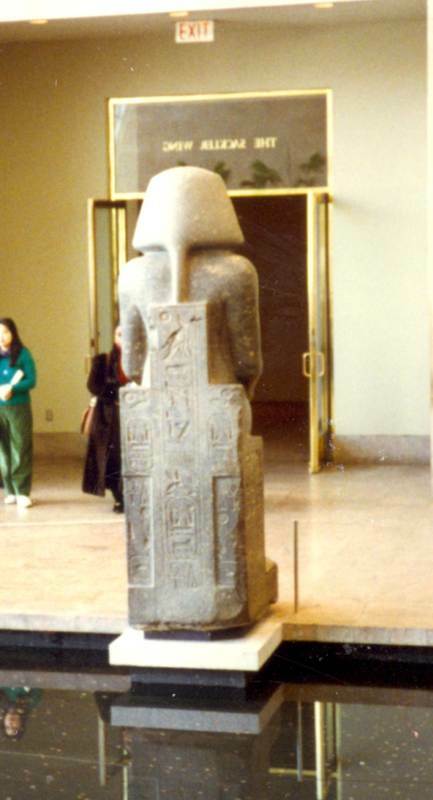 Here is another example of an impressive 'ancient' Egyptian sculpture of a pharaoh, on the back of the throne of which an Orthodox Christian cross is carved out, fig.31. It could not have been otherwise, as Egypt of the Pharaohs was a Christian country of the epoch of the XIII-XVI cc. Similar Christian crosses often can be seen in 'ancient' India, Mesopotamia and Persia. There is a simple explanation to this. All over the 'Mongol' Empire in the XIII-XVI cc. Christianity was the state religion. At first – Royal Christianity, and then – the Apostles' Christianity. That is why people worshiped Christ and used a cross and the other Christian symbols in the religious symbolism. We know that the Egyptian sarcophagi with mummies are arranged in a remarkable manner. The coffins are enclosed within each other in order of decreasing size. Only the last one contained a mummy itself. Each coffin represented a HOLLOW FIGURE OF A PERSON - with a face, wearing the robes and a head-dress, and displaying the symbols of authority. For example, the scheme of the sarcophagus of Tutankhamun, See fig.32. Does it remind you of anything familiar? Well, of course, the famous Russian dolls (matryoshka)! Several interleaved hollow figurines, resembling each other, becoming progressively smaller, only the last of which is solid. Each one of them is painted and represents a person. As far as we know this symbol – a doll - existed only in Russia. And, as we can see, in 'Ancient' Egypt as well! It is probable that in the Russian folk art there survives a memory of the ANCIENT RUSSIAN-HORDIAN CUSTOM – to bury the czars in coffins – matryoshka. The Hordian czars and sultans atamans (ottomans) of the XIV-XVI cc. were buried in the Imperial cemetery in African Egypt according to the Russian tradition. Earlier, before the Romanovs, Christian burial methods were prevalent in Russia, which was unusual from a modern perspective. In particular, the ANTHROPOMORPHIC SARCOPHAGI, i.e. tombs made in the form of a human body [5v2], ch.7. Just like in 'Ancient' Egypt! These customs were especially significant in Vladimir and Suzdal Russia. Some scientists point out the correlation between these Russian tombs, Byzantian and the 'ancient' Egyptian tombs, but presume that the RUSSIAN ANTHROPOMORPHIC SARCOPHAGI were adopted from the Egyptian ones. However, most likely it was the other way round, such a type of sarcophagus came to 'Ancient' Egypt from Vladimir and Suzdal Russia together with the 'Mongol' conquest of the XIV century. The anthropomorphic sarcophagi are constantly being found in Moscow during excavations. For instance, in a former Bogoyavlensky Monastery (Epiphany Monastery) close to the Kremlin , p.79. These Russian sarcophagi are made in the form of the human body, with a head and shoulders. In the Kremlin's Arckhangelsky Cathedral at least some of the tombs of the Russian princes (most likely symbolic) were made in the following way: a wooden coffin was enclosed inside a stone sarcophagus. Thus the 'matryoska-like' burials were indubitably made in Russia. Today's Russian doll souvenirs are reminiscent of this custom from our ancient past. In [4v2], ch.2:6, we have shown that between 1632 and 1636 the Romanovs reformed the Church, in particular they dramatically changed the burial customs in Russia. Then a wave of the Romanov 'pogroms' swept through the Russian cemeteries. In the new chronology the history of ancient Egypt of the XI-XVI cc. as before occupies the place of the most ancient ones. But some of the 'most ancient' customs survived until the middle of the XIX century. I see things like this and I wonder what they used to show. Do we really think they were intentionally left blank? This map has all sorts of crazy stuff so why are these empty? Pyramids of Giza as Power Plants Confirmed?